The NFL playoff games continue this weekend with some big contests including some of the hot teams. Those games require viewers to have cable or satellite TV, or do they? If you have a Roku device then there is a work-around to watch at least a couple of games. Who will win it all? You'll need to watch the games to find out. Roku's CBS Sports Channel will bring them to you. Obviously this only brings you the AFC games, but that's at least half of the weekend. 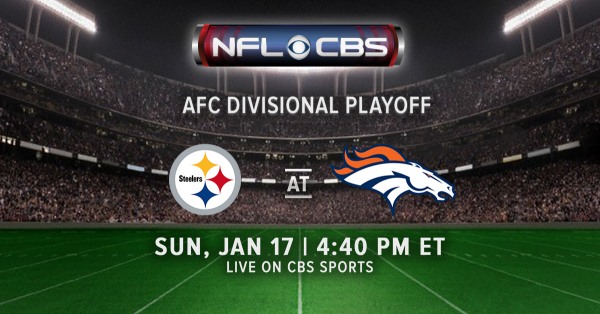 Today you can catch the Steelers and Broncos at 4:40 ET. "Football fans around the country know that this weekend is widely regarded as the best weekend of the year -- the NFL Divisional Playoffs. Whether or not your team is still in the hunt, you don’t want to miss these games. And yes, you can stream this weekend’s NFL Playoff games (AFC only) on your Roku players and Roku TVs -- for free". No matter who your team is this is always an exciting time of the year. In a week we will know the contenders in the big game, will your team be there?